Misty Max 10 disposable nebulizer kit features a one-piece jet design that delivers high output rates, resulting in consistent medication delivery. A full 10 cc capacity and anti-spill design helps prevent medication waste and allows the unit to be used at an angle to accommodate various patient positions. 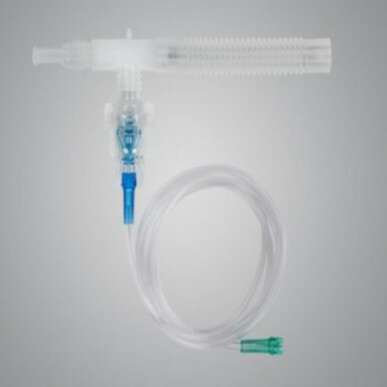 This kit includes mouth piece, T-piece, 7ft tubing, 10ml capacity, and flextube. Latex free.